My husband doesn't often go to the grocery store. He'll go to pick up a thing or two here and there, but rarely does he do a full shopping trip. However, a few months ago, I wasn't feeling well so he grabbed some quick easy to cook items and brought them home. That same evening, he cooked some frozen pizzas and brought me a slice. 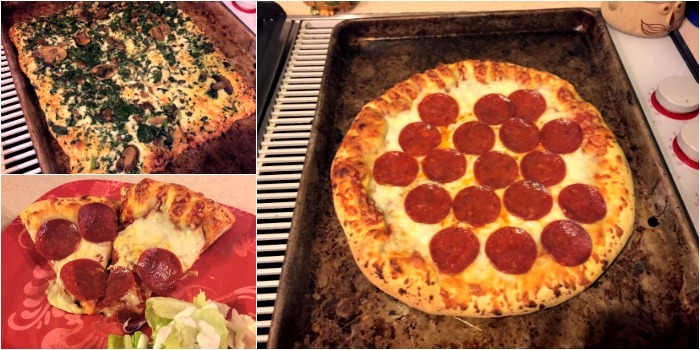 It was, by far, the BEST frozen pizza I have ever eaten. Now, we're honestly slightly snobbish about pizza in general. 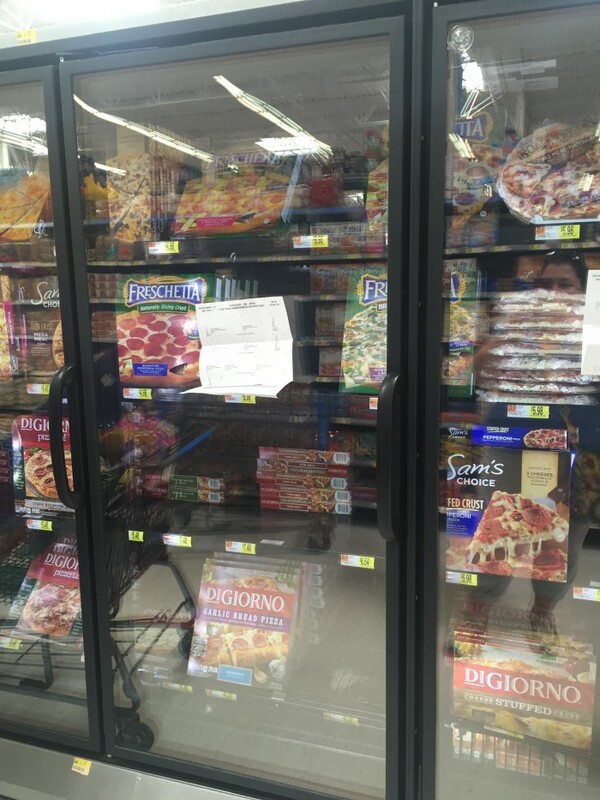 I've never had a frozen pizza that I genuinely liked, let alone loved. Craved, even! Ever since that day, we have been brand loyal to Freschetta pizzas. Our favorites are the Freschetta 4-Cheese and the Freschetta Naturally Rising Sausage & Pepperoni. I think the reason we love Freschetta so much is that it is made with high quality ingredients, real cheeses and just tastes like authentic homemade pizza (with a lot less effort!). 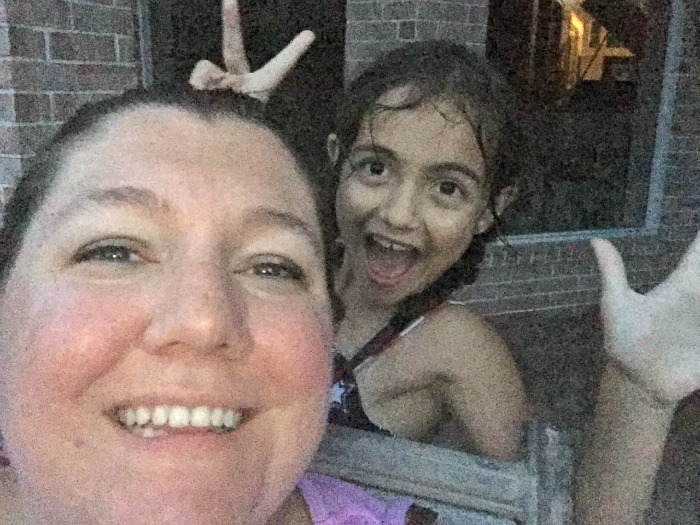 It is summertime in Houston and we are spending a LOT of time out at the pool. 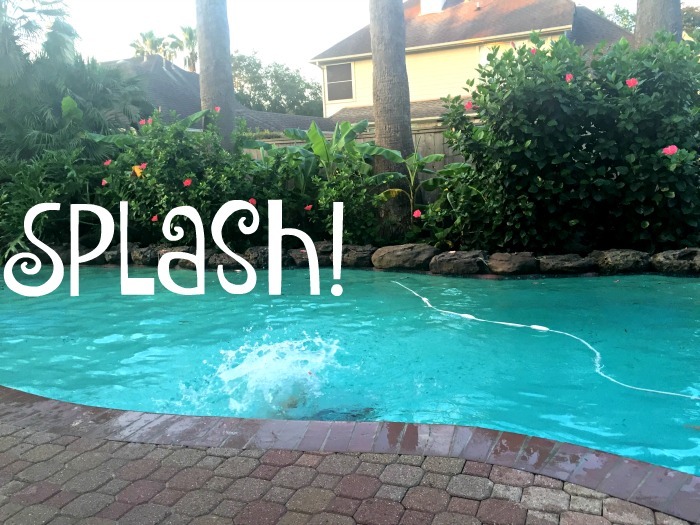 Dinners need to be quick and easy around here, so we always make sure we have some Freschetta in the freezer for those days where dinner is consumed in between cannonballs and games of Marco Polo! 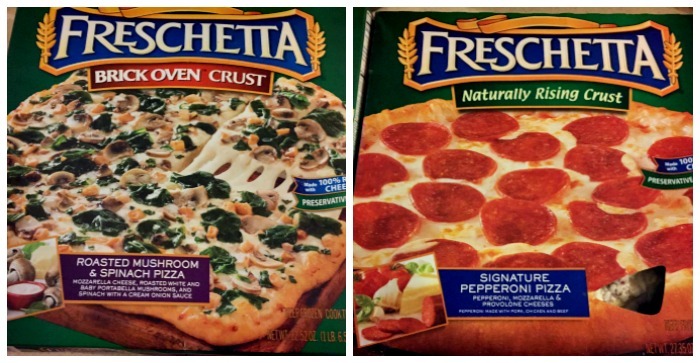 I stopped into our local Walmart recently to grab a few things and picked up a few pizzas (I grabbed the Freschett Brick Oven Mushroom & Spinach and the Freschetta Pepperoni - to try something different!) and I also knew that I wanted to serve a fun dessert that would work great pool side. I figured since pizza works so well, dessert pizza would too! 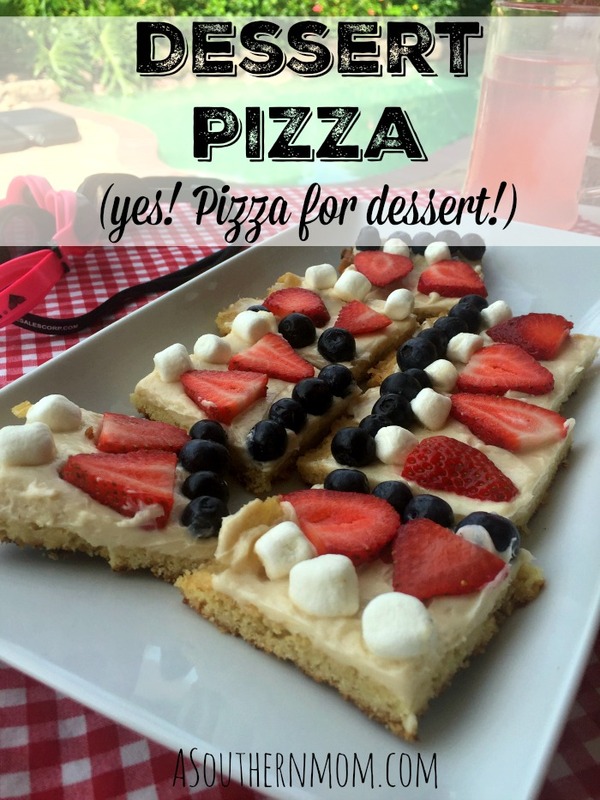 We had a great evening eating our Freschetta pizza, salad and this tasty dessert pizza (and now we have a few more favorite Freshcetta Pizza varieties to choose from. The kids loved the Pepperoni and we loved the Mushroom & Spinach)! 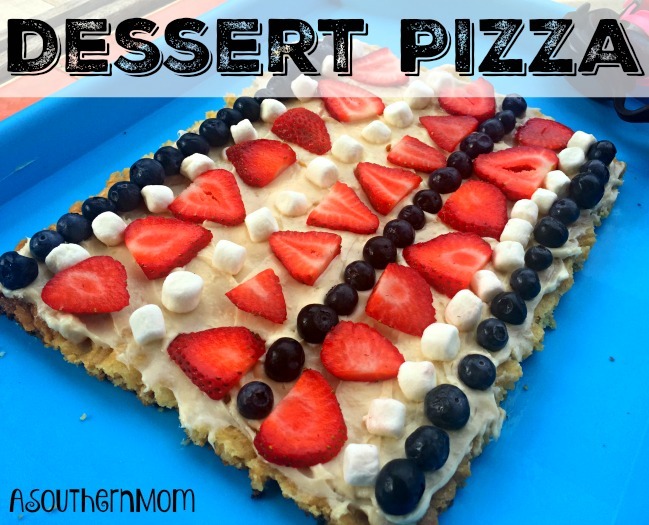 Scroll down a bit to grab the recipe for our tasty version of a Dessert Pizza! Also, follow Freschetta on Facebook and Twitter. They share great meal ideas! Arrange fruit on top however you like. My little strawberry monster LOVED our poolside pizza! Bake your sugar cookie dough in whatever shape you desire (a circle, a rectangle, or individual cookies) according to package directions, allow to cool.